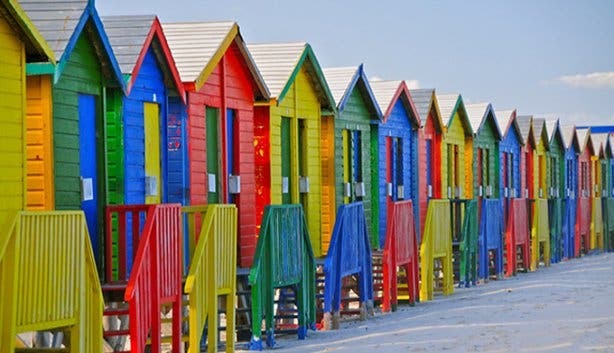 Staying in touch while on holiday or business in South Africa (SA) is far less complicated and expensive than it used to be, but, nonetheless, those unfamiliar with the local system and networks may still find keeping connected somewhat confusing. 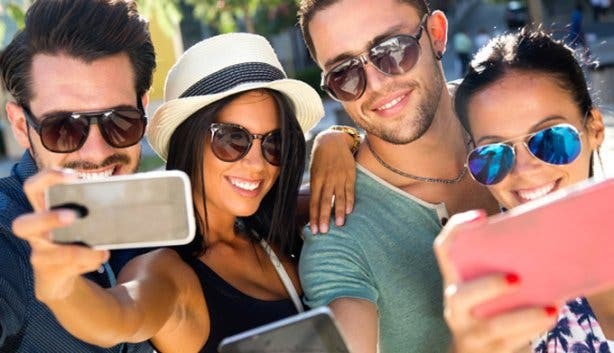 While there’s a few different telecom options for travellers to SA, it’s important to understand the advantages and drawbacks of each. What’s best for one person may not necessarily be ideal for another. To help you on your way, we’ve put together a guide to buying a prepaid SIM card (or just a data SIM), renting a local cell phone, putting your mobile on roam and more. At the bottom of this page, we’ve also answered some frequently asked questions about cell phone and Internet use in SA. Buying a local prepaid SIM card, inserting it into your mobile or Internet device and operating on a top-up basis is one of the easiest and most convenient options (your phone must just be unlocked – check with your local service provider to make sure this is the case). Especially ideal for those who return to SA multiple times per year (like business people), this alternative allows you to keep your number forever as well as use your OWN phone with all your crazy apps, annoying ringtones and important contacts. Keep in mind, if you’ve been a contract phone user your whole life, you’ll have to familiarise yourself with the concepts of data and airtime, the idea of buying prepaid vouchers and the notion of monitoring your credit so you don’t get cut off mid-conversation or in the midst of sending an email. Not to mention, when purchasing the SIM card, you’ll need to make sure you have the correct information on hand to RICA (see FAQ 4). Though, those who don’t want to deal with the above, but who still want to use a local SIM, can opt to purchase through B4IGO South Africa. This service allows you to purchase a SIM and airtime/data bundle of your choice before you even leave your home country. That way, you get your number beforehand to give to family and friends, and since you pick up your pre-ordered SIM at any international South African airport upon arrival, you don’t have to deal with the hassle of finding a place to purchase a SIM, RICAing, selecting a cellular network, loading airtime/data and being out of contact for a certain amount of time. Plus, you get free incoming calls and voicemail retrieval. 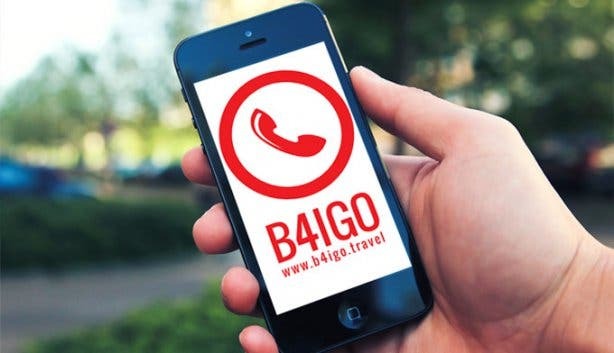 Find out more about B4IGO South Africa website in the top right of this page. The cost of this varies depending on the cellular network you choose. 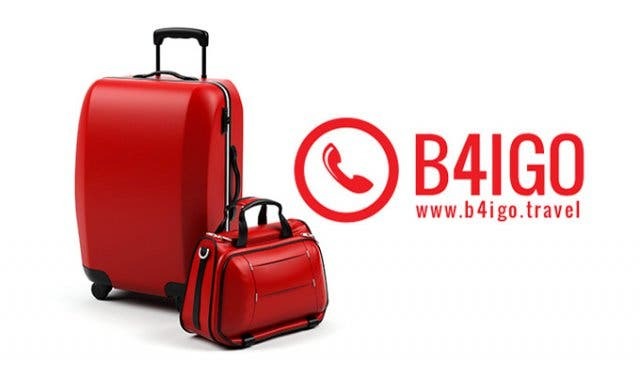 Using B4IGO South Africa, you can call home for as little as $0.06 per minute. This is also an incredibly easy and straightforward communication option for those travelling to SA; albeit, it tends to be a bit more expensive. You simply collect the phone or Internet device – it comes with a SIM card already installed – from your selected service provider and dial with a smile from the get-go. Typically, you leave a security deposit when you pick up the mobile and pay for charges incurred after drop-off. While there are companies throughout the nation that provide phone rentals, one of the most trusted, reliable and convenient in the business is Cellucity. In partnership with the brand Vodacom (local Vodafone arm), this organisation gives travellers a whole spectrum of cell phone and Internet device rental options, from sleek iPhones and wireless routers to simple Nokias and mobile broadband dongles. Plus, incoming calls and voicemail retrieval are free, and if you pre-book, you get your number before you depart your home country (to give to loved ones or clients). The cost of this varies depending on your service provider and your cellular network. 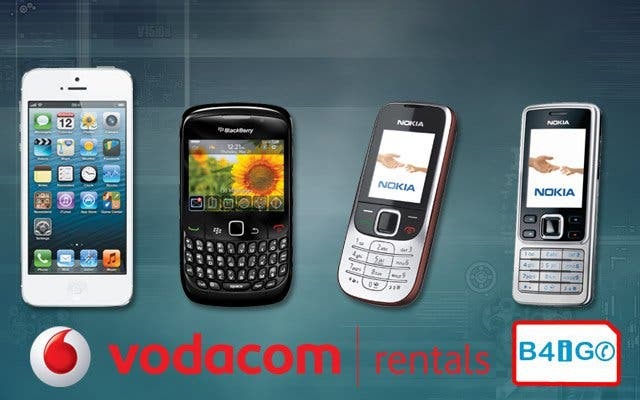 With Cellucity’s Vodacom Rentals devices, you can phone home for as little as $0.25. Perfect for those who can only turn off for a holiday once they power down their phone or Internet device, this option is best for travellers adopting a less-is-more strategy while in SA. Meaning, if you’re planning to only make two or three short calls or send a text message or four, or if you’re banking on just using the small amount of free bandwidth (Internet usage unit) allocated by your hotel, then this is a more than satisfactory way to go. Though, if you can’t go a day without checking Twitter or have a few local friends you’d like to make plans with, it’s best to either rent a phone or buy a local SIM. This option often ends up being extremely expensive; specifically, it can be as much as 300% more than a local SIM rate. 1. How do you use a mobile on a prepaid basis? Mobiles that work on a prepaid, or pay-as-you-go, basis require users to load credit on a phone beforehand in order to receive service. Credit comes in the form of airtime or data, and is available in set increments for a certain fee. Once the credit expires or is used up, service is no longer available, until the user ‘tops up’ with more credit. 2. What’s the difference between data and airtime? For those who’ve only ever used cell phone contracts, the concepts of airtime and data may initially be confusing. Though, keep in mind that you’ll only need to understand these ideas if you plan on using a local prepaid SIM card while in SA. Loosely defined, airtime is the unit you use when you talk on your phone and send a text message, and data is the unit you use when you send an email, download a photo, view a web page or use any web-based apps (like WhatsApp or Facebook). In SA, if you don’t have a smartphone, you’ll only ever need to use airtime; however, if you do have a smartphone, you’ll need to use both. Travellers using a local prepaid SIM card in a smartphone will need to either purchase airtime and convert a portion of this to data (consult the individual cell phone network website or helpline for instructions) or purchase separate airtime and data bundles. Internet devices, like wireless routers and dongles, only use data. 3. Where can I buy airtime and data? Generally, you can buy airtime in voucher form from any corner shop, supermarket or cellular network store in South Africa. Simply ask the cashier for help if you have questions. Specific cellular networks also have allocated retail outlets where their airtime is sold. If you’re in a shop and you’re wondering if they sell airtime from a specific cellular network, it’s best just to ask a member of the staff. Data bundles are usually only available from the cellular network stores. Alternatively, you can buy airtime or data online via the respective cellular networks’ websites. For B4IGO, you can purchase data online by visiting vodacom.prepaidstore.co.za. 4. Which cellular network is best? The jury’s still officially out on this subject, and any South African you ask will have a different opinion. The primary networks in South Africa include Vodacom, Cell C, MTN and 8ta. 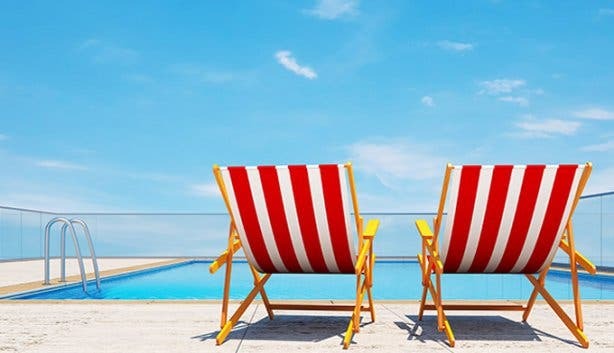 For the most part, short-term travellers will find that any of the aforementioned will be fine for use while on holiday or a business trip here. Vodacom is however the largest and first mobile network in SA with the biggest subscriber base and coverage. The Regulation of Interception of Communications and Provision of Communication-related Information Act, or RICA as it’s more commonly known, is South African government legislation that requires that all SIM cards be registered. The law was passed in 2011 with the aim of better monitoring criminal activity. RICA affects any travellers to SA who purchased a local SIM before July 2011 or who wish to purchase a local SIM upon arrival. SIMs purchased before July 2011 that have not been RICAed will have been deactivated. Those who wish to purchase a local SIM will, at the time of purchase, need to supply their passport and proof of where they’re staying during their time in SA. This is relatively straightforward if you’re staying at a formal place of accommodation; simply print proof of your reservation on a letterhead. However, if staying with friends or in informal accommodation (like a house swap), you’ll need an affidavit from the local property owner or tenant stating that you’ll be residing temporarily at the said address. Find out more about Cellucity’s B4iGO prepaid SIM card service programme in South Africa. 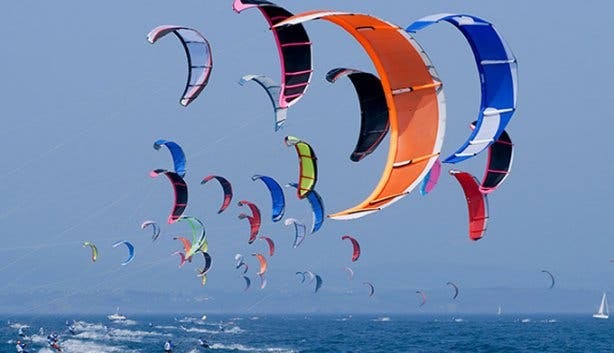 Use our events section for an up-to-date overview of happenings in Cape Town. Also, don’t forget tosubscribe to our newsletter, follow us on Twitter, like us on Facebook, join our Google+ circle, connect with us on LinkedIn and check out our Pinterest boards for updates.